Big news from eBay today... I was pleased to receive a press release this morning announcing the launch of eBay site World of Good. The products offered on the site have a positive social impact on the people who create them and also on the environment. Many products are fair trade certified, made by impoverished artisans or farmed by small farmer cooperatives in third world countries. Most are created from recycled, reclaimed and/or sustainable materials. Some products are considered upcycled meaning new products have been made out of partial or full materials that would otherwise end up in a landfill. Planet Love! Some of my favorites: A. 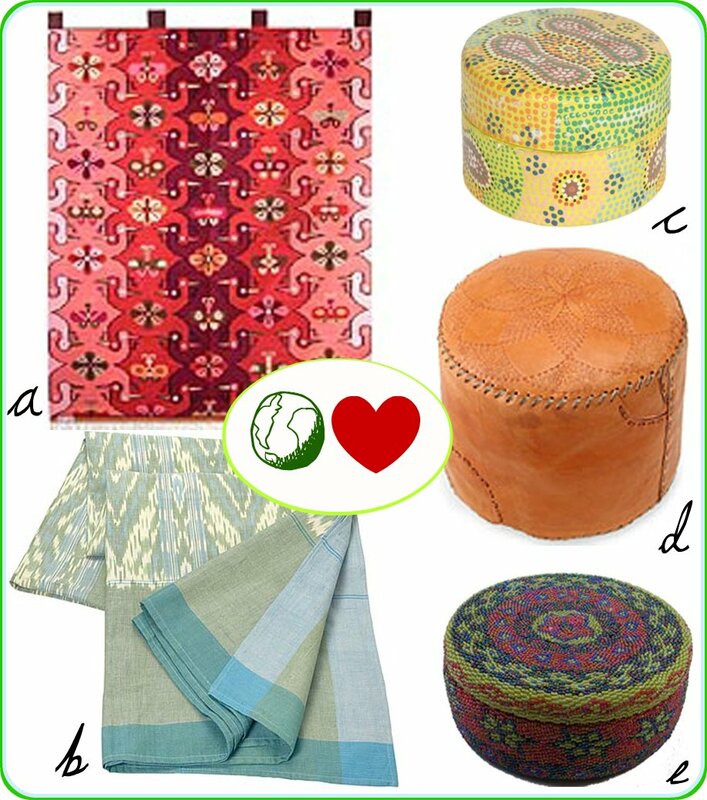 This gorgeous tapestry wall hanging, B. the IKAT table cloth, C. a pretty round box, D. embossed leather ottoman, E. beaded box. 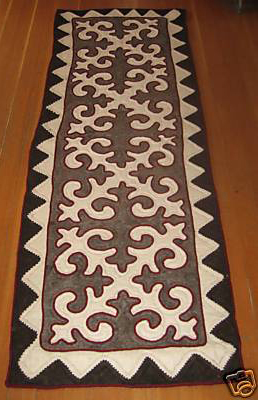 The image quality isn't that great, but I also really like this wool felted runner. It would look great in a long hallway, very graphic! As you can see, World of Good offers items that range from rugs to baskets and boxes, furniture, and beyond. Yay for eBay! It's great to see such a large influential company extend themselves in this direction. decor8 Book and Blog of the Week!